I can't believe what the postman brought today! 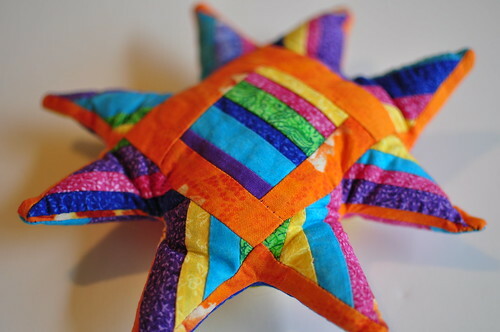 Remember the Scrappy Pincushion Swap I joined at flickr? Jess (who blogs at hectic household) has blown me away today with not one, not two, not three, but six amazing pincushions! 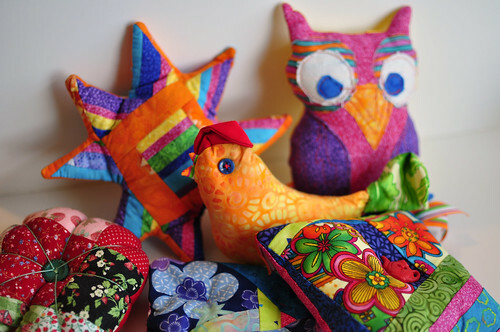 and three bright and fun patchwork pincushions! From the very bottom of my heart, thank you, thank you, thank you! Wow, what a gorgeously colorful collection. 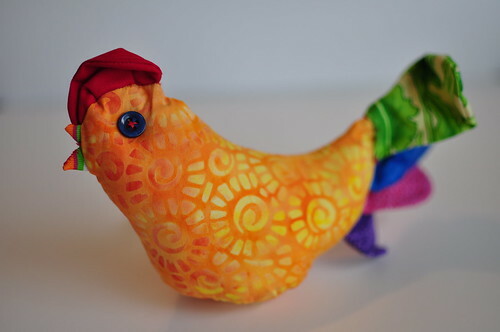 You'll have a fun pincushion handy no matter where you are in your new sewing room! Wow! You must have been over the moon. They're all so lovely. yowzah! Nice swap goodies! It's always nice to read about good things happening to good people! What a great swap partner to spoil you like that. 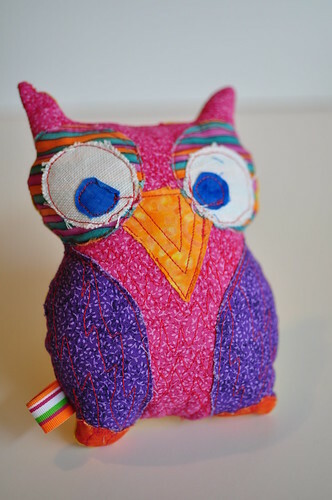 Your picures make me want to run off to my sewing room and make a new pincushion. Those are great! What a wonderful swap partner! I could use a new pin cushion or two. Must get busy! Oh you are so welcome! I am so glad they arrived and you like them. That makes me so happy.